BISHKEK -- The Kyrgyz branch of an international NGO is seeking to fight fire with fire -- turning social media against extremists who have used them for years to recruit impressionable Kyrgyz. Search for Common Ground (SCG) has developed a project -- "Social Media for Deradicalization in Kyrgyzstan: A Model for Central Asia" -- to combat radicalism by using various media resources, including mobile apps, Web platforms and social networks, Keneshbek Sainazarov, the Kyrgyzstan country director for SCG, told Caravanserai. The project began operating last October and is expected to last for a year. SCG hopes to promote peace and harmony and reduce the influence of extremist propaganda by using social media. 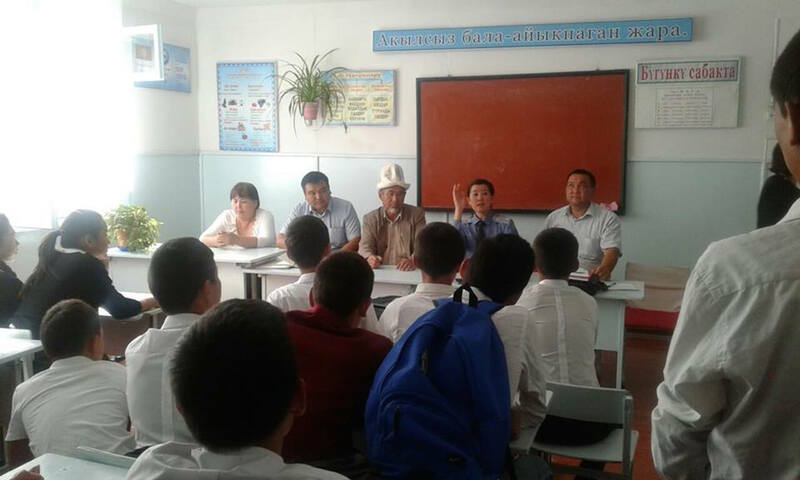 SCG conducts youth seminars "in eight districts of Kyrgyzstan", added Sainazarov. "We promote pluralism of positive opinions ... and co-existence with full equality. We conduct research with local youth to identify their needs, preferences and life goals. We've organised social media campaigns through multimedia, TV broadcasts and public service announcements ... with leading mass media outlets and marketing partners." Initial results of the programme, which began last October, are already visible, he said. Youth are coming from far and wide, from towns and cities like Kara-Balta and Suzak to help study local needs and the local populations' emotional and cultural experience, he added. "Social media are a primary [extremist] recruiting ground," said Sainazarov. "We are offering our solution to the problem of radicalisation ... If results are positive, we might expand the project to other Central Asian countries." Social media represent one of the most effective tools for disseminating anti-extremism propaganda, according to the project leaders. "Saying all the time that ISIL ['Islamic State of Iraq and the Levant'] is bad and that everything related to Middle Eastern conflicts is bad is ineffective," Mirgul Karimova, the de-radicalisation project co-ordinator, told Caravanserai. "Doing so doesn't stop anyone." The SCG activists work in eight districts in Kyrgyzstan, six of which are in the south in Osh and Jalal-Abad provinces. Two districts, Jeti-Oguz District, Issyk-Kul Province; and Kara-Balta city, Chui Province, are situated in the north, explained Karimova. 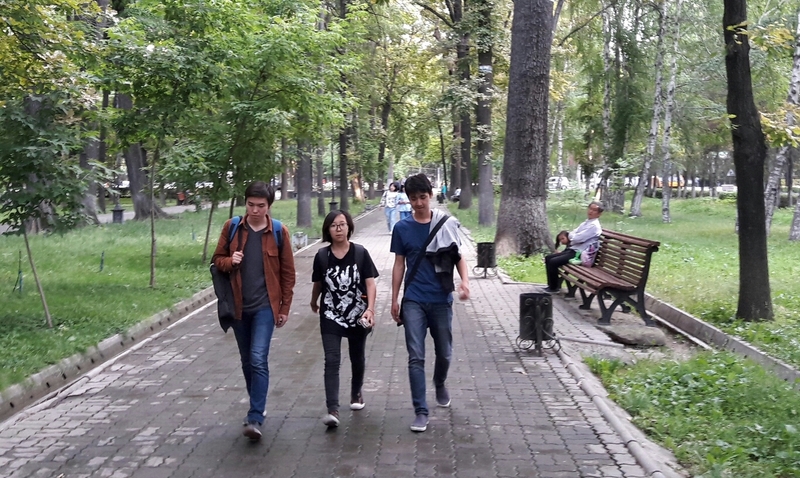 The SCG project is relying on 50 young, trained Kyrgyz to conduct outreach campaigns to dissuade youth from going to Syria, she added. "They automatically share their knowledge and experience on social networks, so the number of beneficiaries ... automatically jumps up tens or hundreds of times," added Karimova. The NGO has uploaded Russian- and Kyrgyz-language videos about Islam onto social networks, said Zarina Urmanbetova, a project participant from Bishkek. Many people associate religion with radicalism, which has a major impact on how society perceives religion, she said. "We started posting video lectures that have scholars, professors and Ph.D.s who explain what Islam is," she told Caravanserai. "We share these videos on social networks. We explain correctly and scientifically what Islam is, what extremism is, and what Islam says about youth and women." All media projects, sporting events and debates linked to the de-radicalisation project go on YouTube, Facebook, VKontakte, WhatsApp and Telegram, she added. Approximately 5,000 young people so far have participated in the organisation's events, said Karimova. "In the fall of 2017, we will host the final conference and have the general public help us review the work we've done." The project participants also designed the intellectual game "IQ Challenge" to develop youth, improve their religious knowledge and to show them "the right path", Mirzalim Mashrabov, a project participant from Jalal-Abad city, told Caravanserai. 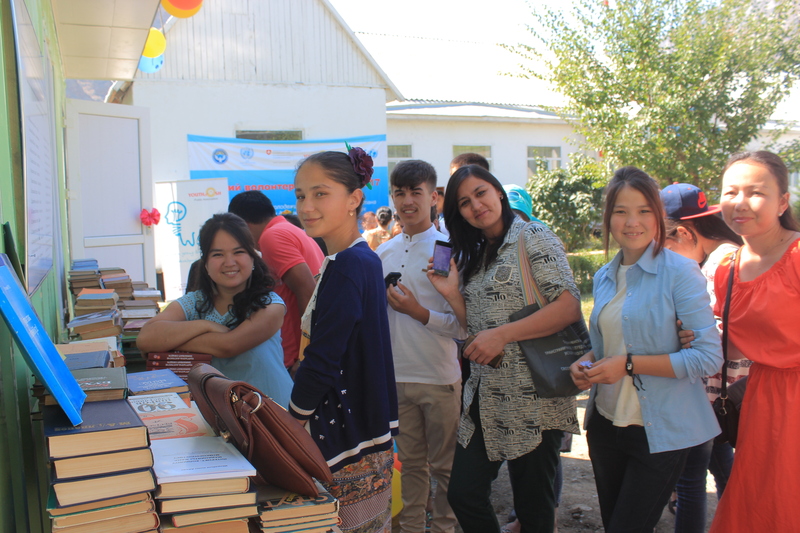 "Intellectual games and debates that the project organises are immensely popular, and they take place all across Kyrgyzstan. [The games] are consistently posted on social networks," said Sainazarov. "One question we posted for discussion was 'Does jihad mean fighting in wars and killing people?' Through these debates, we stand up to extremism." About 130 youths aged 14-20 competed in the most recent game April 8 in Suzak District, Jalal-Abad Province. "We post the games online on social networks so that young people can see an alternative path," said Mashrabov. SCG also conducts cultural events, such as boorsoq (the Kyrgyz national bread) and plov festivals, as part of the de-radicalisation endeavour, said Sainazarov. "Using these measures, we can educate youth and show them that there are other paths to develop, and that you can benefit your village or country without violence or destruction," he said. The Kyrgyz branch of the international NGO Search for Common Ground is bringing together youth with business leaders, artists and celebrities across the country. The Jashstan project helps youth and government agencies unite efforts in peace-building and in fighting extremism. Authorities are working to defuse radicalism's appeal.